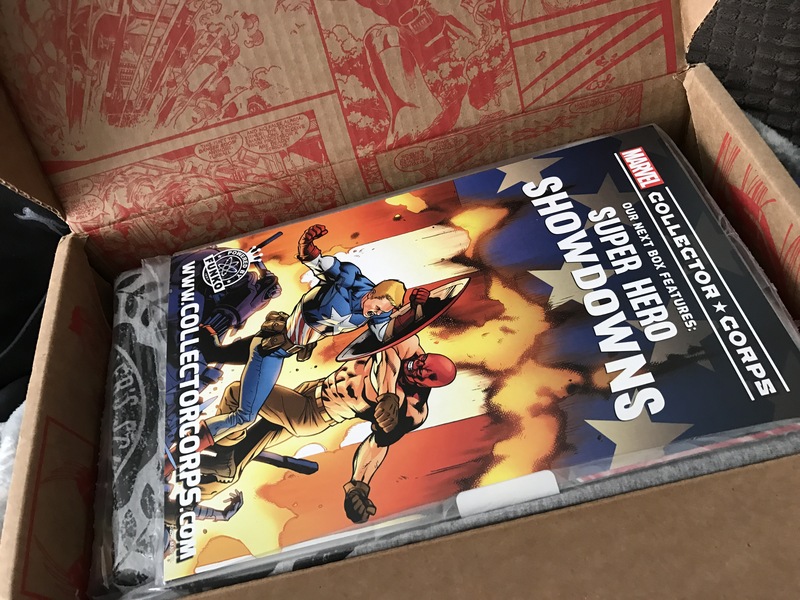 Marvel collector corps box is a geeky subscription box that is powered by both marvel and funko . 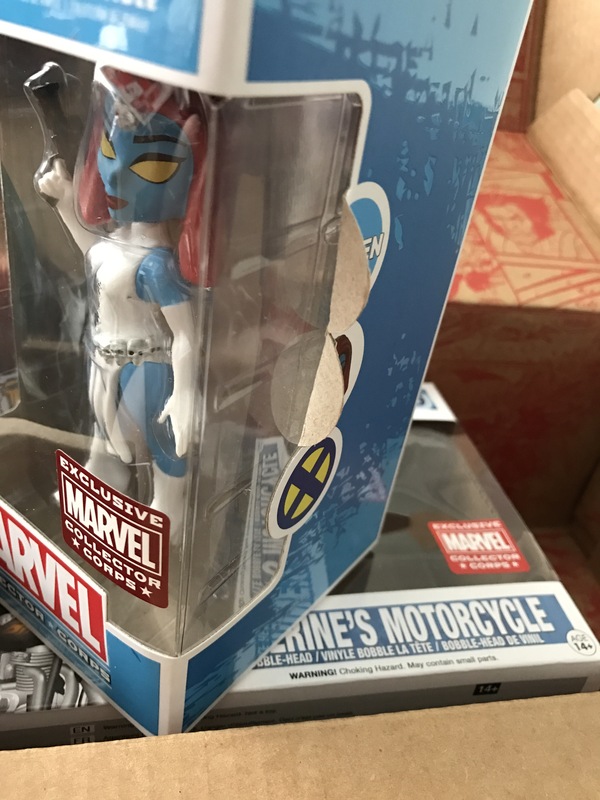 All items in the box are exclusive . 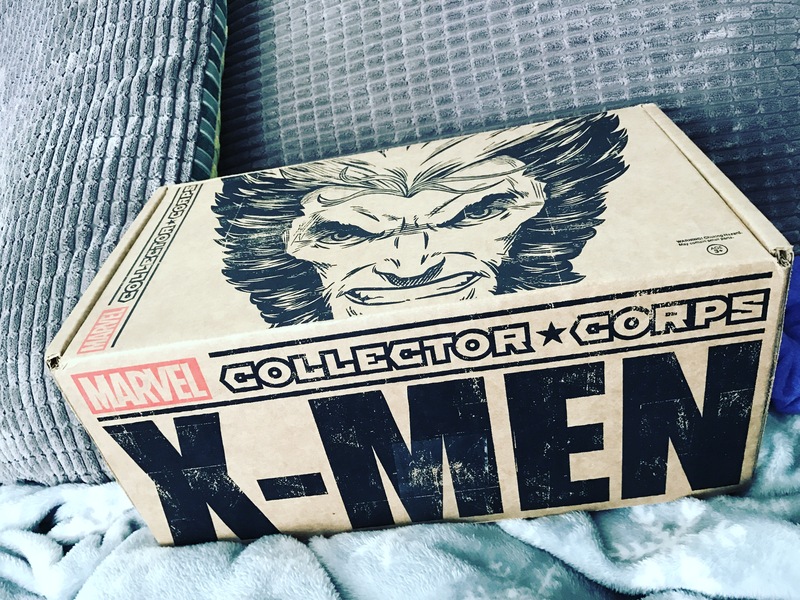 I have had lots and lots of geeky subscription boxes over the years and this is by far my favourite box ! I have every box since launch ! 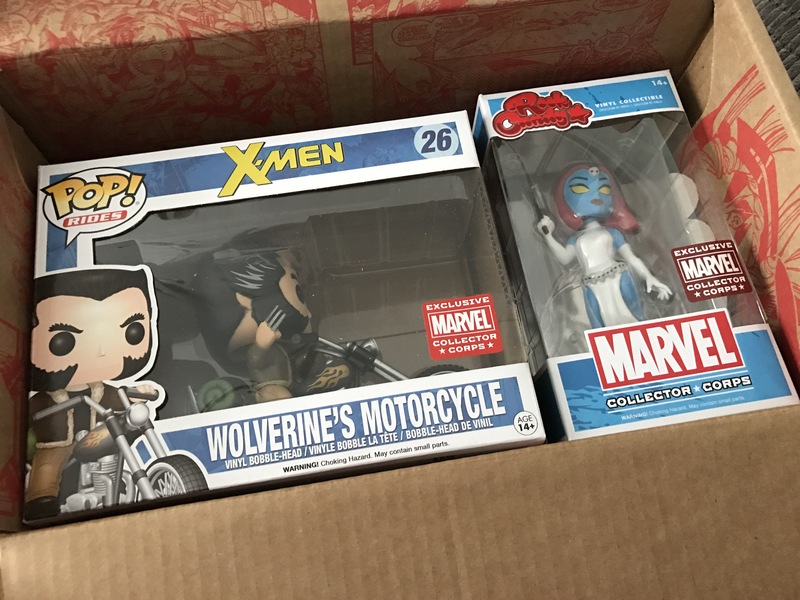 This box was very VERY late getting to me but it is finally here and it was worth the wait ! Each box comes with their own design and is a different size and shape each month depending on what they add into it ! 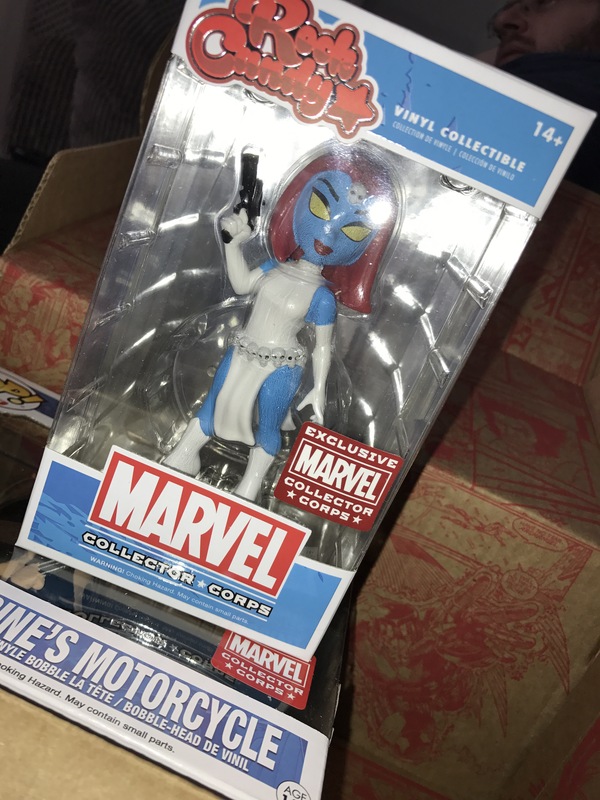 Once you cut the tape and open up the box this is what you will see (I sound like Nerdy Newb on You tube 🤣 check her out she’s great ! 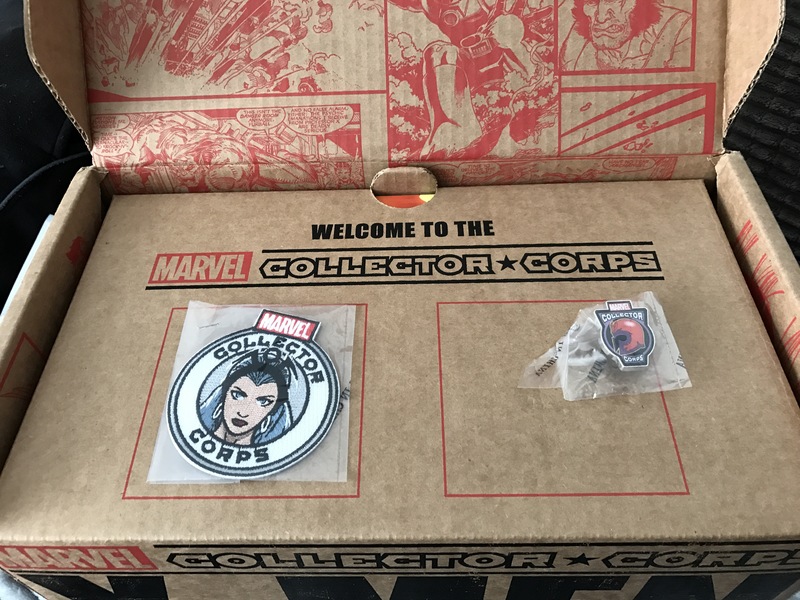 Each set comes with a patch and pin ! And on the pin is magneto. As everyone knows his primary power is control over magnetism however he can also project and manipulate and form of energy that is part of the electromagnetic spectrum including visible light , radio waves , ultraviolet light , gamma rays and x-rays. 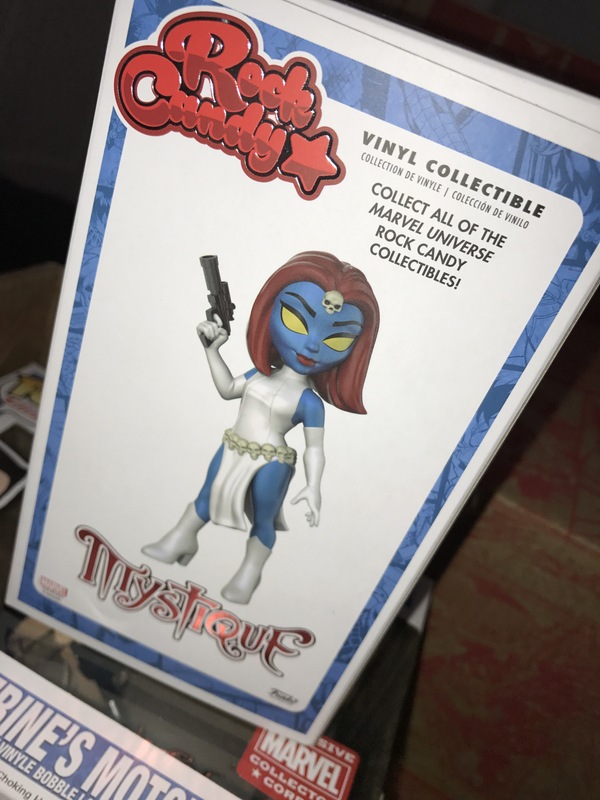 On the top is a spoiler card , on one side the next boxes theme and on the other side is what is in the box and the design ideas and prototypes- this is just a descent addition and I must say I absolutely love it ! 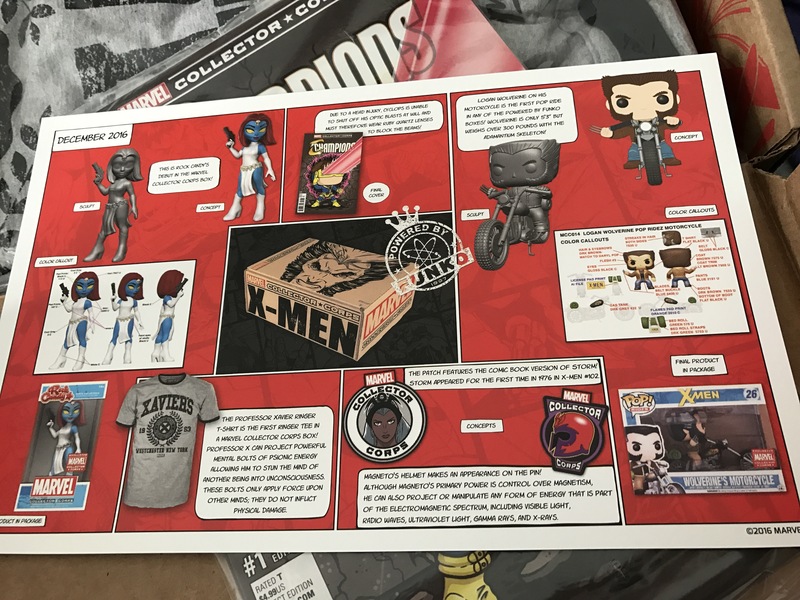 Under the spoiler card is the comic , just like the patch and pin you always get a comic which is normally a variant cover with original art work on it , usually Funko pop inspired . Now we get to thsee good stuff !!! 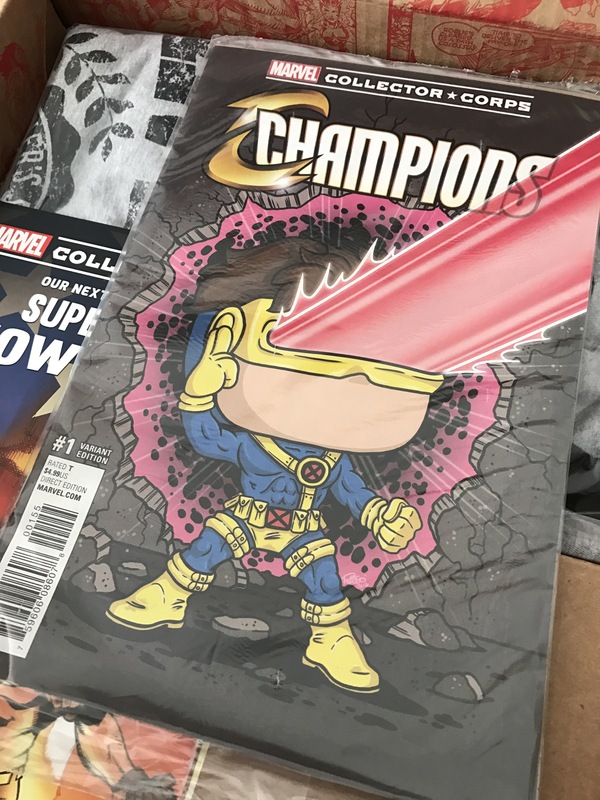 Under the comic is a t-shirt , this is the first ringer T-shirt in a marvel collector corps box ! 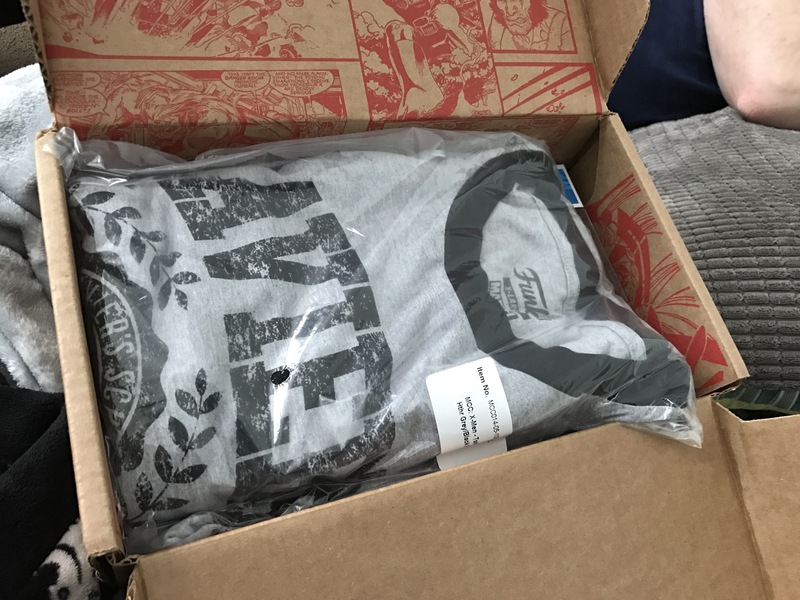 Shirts can come in xs – xxxl , they are quite big fitting and wash well . I will add a picture of me wearing it later . 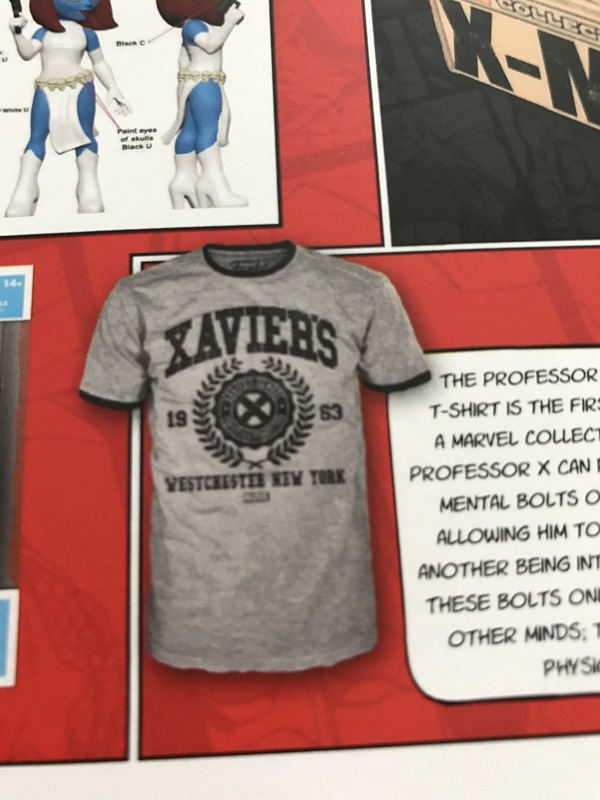 We often see the shirts with a funko theme on it so it’s good to see a “Normal” shirt for once ! Under the T-shirt are these beauties ! And finally …. 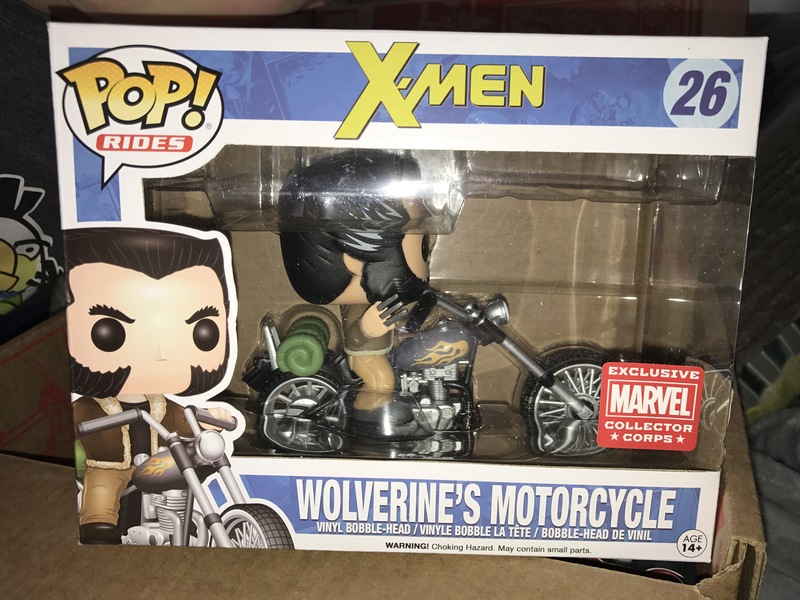 A POP RIDE !!!! This is awesome !!!! 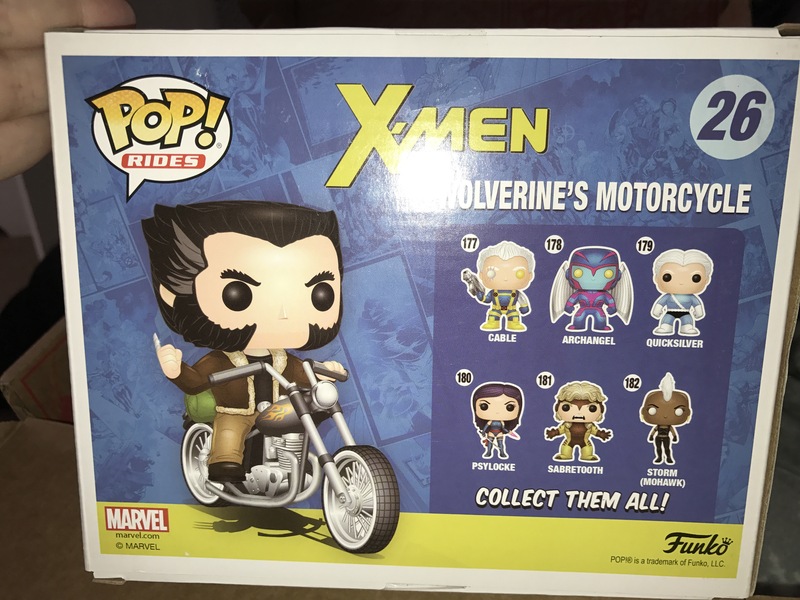 This is the first pop ride in any of the boxes !